Taizo Minagawa - Born in 1917, Taizo Minagawa attended the Kyoto City School of Arts and Crafts. He earned fame as a dyer, producing textile designs using wax resist, and also created a number of woodblock prints. His work has been exhibited around the world and published in several books. Minagawa incorporates simplified blocks of color and strong outlines with a handsome use of negative space to create a bold modern style. 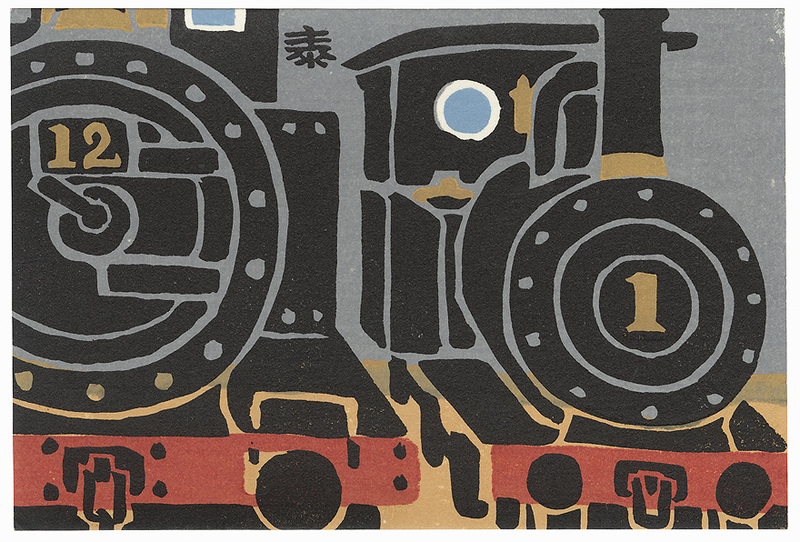 Meiji Village Museum Postcards - This design comes from a series of six woodblock postcards Minagawa created for the Meiji Village Museum featuring subjects built during the Meiji era. The Meiji Village Museum opened in 1965 and has a collection of notable historic buildings that were moved to the site, alongside similar Taisho and Showa era villages. Each image includes a title for the subject and the date of construction on the reverse. We've never come across this interesting series before. 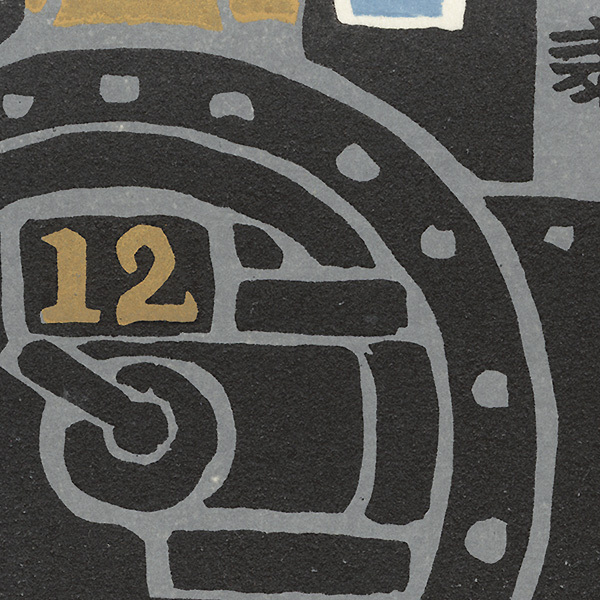 A nice complement to Minogawa's larger woodblock prints. Image Size - 3 7/8" x 5 7/8"
Condition - This print with excellent color and detail as shown. 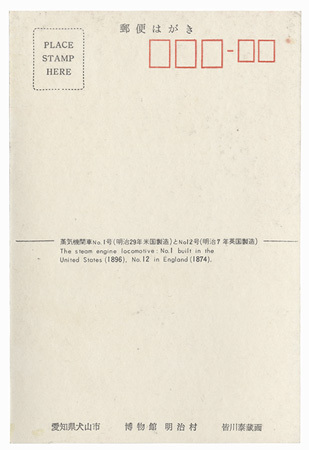 Unused postcard format on reverse. Please see photos for details. Good overall.